Fishing Universe Simulator is a comprehensive fishing simulator which allows using various techniques, in different places around the world! If you are bored of waiting for fish to take and falling asleep in front of the console, this means that you have played a bad game! In the Fishing Universe Simulator this will never happen. Select the appropriate equipment and bait, cast your line and wait for a bite. Success is guaranteed! Everybody likes to use diverse equipment, which you will find in our game. An enormous quantity of rods, reels, baits, and lines are waiting for you to discover. Every fisherman likes to admire his trophies. Some release their fish, other stuff and hang them on their walls. In Fishing Universe Simulator you can exactly do the same! Decide yourself what you want to do with the fish you catch. Sell? Release? Stuff? The choice is yours! 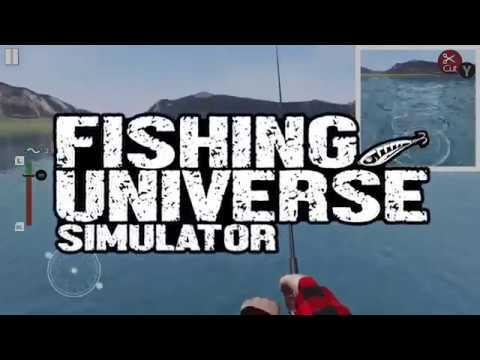 Fishing Universe Simulator was released on Switch 85d ago in the US and the UK. Notify me when Fishing Universe Simulator is available.